What Tone of Stain is Right for Your Church Pews? When you’re selecting church pews, it can be a piece of cake for some churches to choose which colors of stain and fabric they want for their pews. 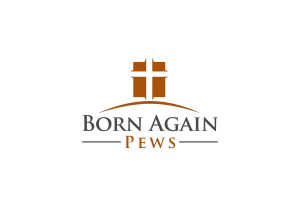 For other churches, it’s not so easy. When you have a wide array of colors in your church, it can be difficult to pick something that matches easily or to know where to start. Looking at the tones of your church’s colors can help you figure out what’s right for the stain of your new church pews. 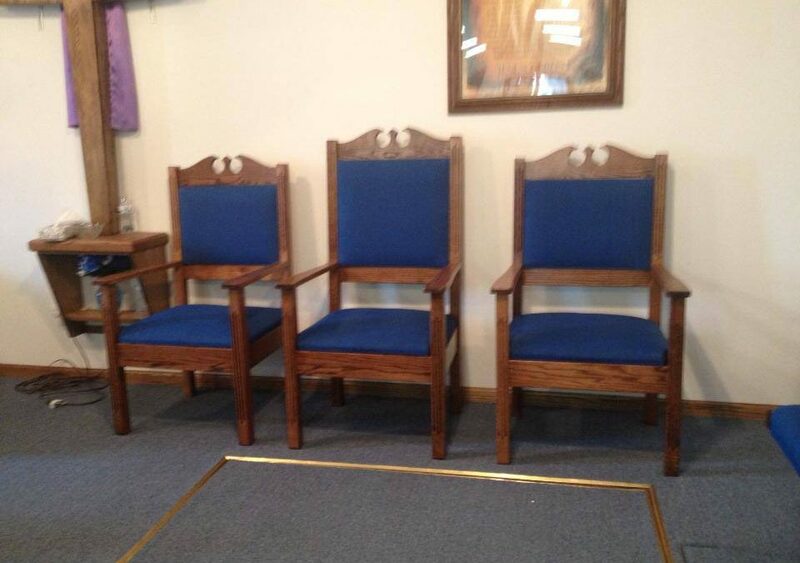 For instance, in the photo above, the church clergy chairs are finished with a stain that has warm tones. This stain is a perfect choice for the church because of the color of the walls. While they are white, they’re a creamy white with yellow and orange tones. We’ve talked about warm and cool tones before in discussing our stains but for a quick recap, cool tones are blues, greens, and purples, whereas warm tones are yellows, oranges, and reds. This stain is a perfect match for the church because it matches in tones. This is particularly important when you have colors in your church that can’t be easily matched. 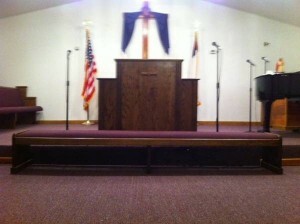 For instance, this church has a burgundy carpet. While we do have church fabrics in this purple-family color for the seat of the pew, a purple wood stain can look really out of place. This dark stain that has a cool tone to it looks like a perfect match to the church’s carpet without looking silly. Matching isn’t the only way to use tones, however. Using contrasting tones can give a nice effect too, especially if you want to highlight your church furniture. If you have a cool toned carpet, like green or blue, you can use warm toned church furniture to make the church furniture stand out. 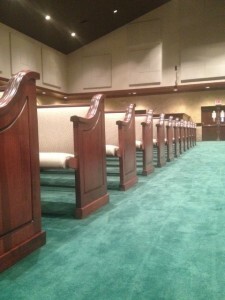 For an example, take a look at these church pews, installed in a very large church that has a tall ceiling. The carpet is a cool green color but the church pews are a warm, red toned stain. The cherry color contrasts with the green carpet and helps draw your attention to the church furniture. The darker stain also helps bring attention from the dark, tall ceiling down to where you’re sitting so the space doesn’t feel overwhelming. Finding the right stain and finish for your church pews is more than just finding the right color. If you’re having trouble deciding which one of our finishes will work best with your church, contact us today and we can help.